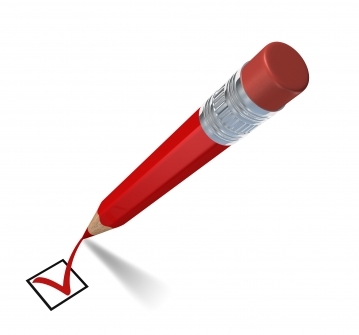 Learn How To Apply Due Diligence Properly When BUYING A Business. How can you be sure a particular business is a worthwhile investment? It’s not about the overall appearance of the business. It’s not about what the seller initially tells you. The ‘real secret’ to buying a profitable business is in knowing the exact strategies to use at each step in the buying process and by conducting an impeccable analysis, review, negotiation and valuation to be certain you pay the right price and terms and uncover any potential problems before you complete the transaction. 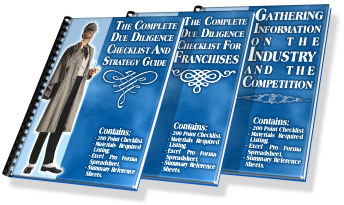 Secrets To Working Through Your Due Diligence Process. Due diligence is probably the most critical stage in the buying process. Many prospective buyers incorrectly identify this period as strictly a financial review, but it goes far beyond that. Due diligence encompasses a far greater project – that being the complete investigation and review of the business. One of the keys to buying a good business, comes from your ability to learn the intimate details of the business. To identify the strengths, weaknesses, pluses, minuses, growth opportunities and areas of concerns. If you do not do a flawless job of gathering information, you will not be able to pull the trigger and complete the transaction since you’ll be uncertain about too many components of the business. Once you begin looking at a particular business, you’ll find a thousand things crossing your mind regarding the acquisition. Keep a notepad handy at all times and log your thoughts. You’ll have many thoughts about things “I need to check out”. Write these all in one place. Don’t trust your memory; these little things are the ones that can come back to haunt you down the road. Begin to put together your checklist of what you need to investigate and how you’re going to do it, along with the materials you may need from the seller to accomplish it. Many sellers and some brokers will press for a very short inspection period; sometimes just days. Don’t get bullied into this – give yourself ample time to complete this part of the process. You should allow for, negotiate and not settle for less than a 20-business-day inspection/due diligence period. My Name is Richard Parker and I have personally purchased thirteen businesses during my career and built several others from start-up. The information in my programs are based on real-life, hands on experiences. 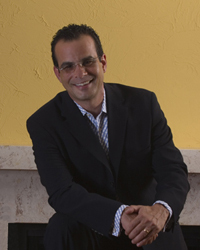 I have provided consultation to thousands of prospective business buyers who have used my materials, attended my seminars, followed my guidance and expertise to buy good businesses in every type of industry you could possibly imagine. It has taken a lot of time, effort and some painful experiences to develop the tried-and-true formulas that immediately identify a good business. More important is recognizing what particular business is ideal for the individual. Good businesses run by the wrong people quickly turn sour and that’s why so much of our material is devoted to helping each client buy the right business for them. Expert Consulting And Support At Every Step. Along with the program you can consult directly with Richard and a team of experts as often as you wish during the business-buying process and there is no additional charge for this service and support. 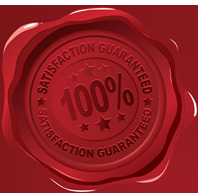 After you receive the material, if for any reason whatsoever at anytime in the future, you are not 100% satisfied, or if you don’t believe that we have equipped you with all of the skills and knowledge you’ll need to buy the right business, just let us know at any time and we’ll immediately refund your entire purchase price. No questions asked! No time limits! No hidden clauses! No fine print! Why Our Products Are Unique. 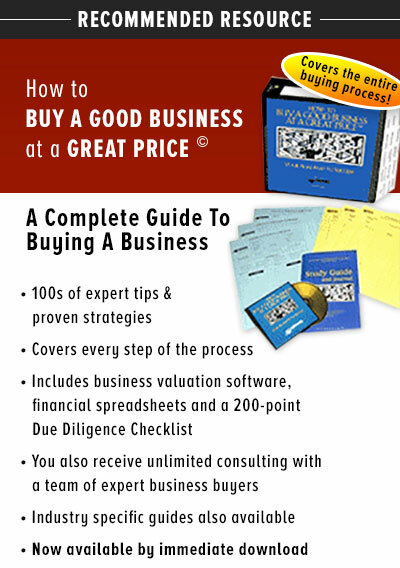 The How To Buy A Good Business At A Great Price© series is not a generic introductory book about buying a business. The information provided are proven strategies that work and have been compiled from over one thousand successful business purchases and business for sale analysis and investigations over the past twenty years. This material is for the serious business buyer who realizes that in order to be successful, they must be equipped with specific knowledge and have access to unbiased expert advice to be certain they make all the right decisions. The materials are laid out in a step-by-step format that mirrors each specific stage of the business-buying process. The program is geared to give the buyer the advantage in the purchase and to eliminate the risks associated with buying a business. As such, the information clearly explains what a business buyer needs to know at each step, what they must do, and exactly how to do it. Plus, we provide ongoing expert consulting support to assist you at every step. The materials also include automated valuation spreadsheets, legal agreements, business plan templates, specific language for purchase agreement terms and case studies. Click the link above and you will be redirected to our dedicated website at www.diomo.com where you can learn more about this product or make a purchase.